I was first introduced to Ableton Live back in 2001 by my good friend Dan. We used to spend hours in his home studio making tunes night after night. I’d been making music for about five years in my AKAI sampler and Propellerheads Reason. Dan was completely new to making music inside the computer. But what I loved about producing with Dan was his passion as we got to grips with Ableton Live every night. Even though he was new to making electronic music, Dan’s skills jumped by leaps and bounds every single night. 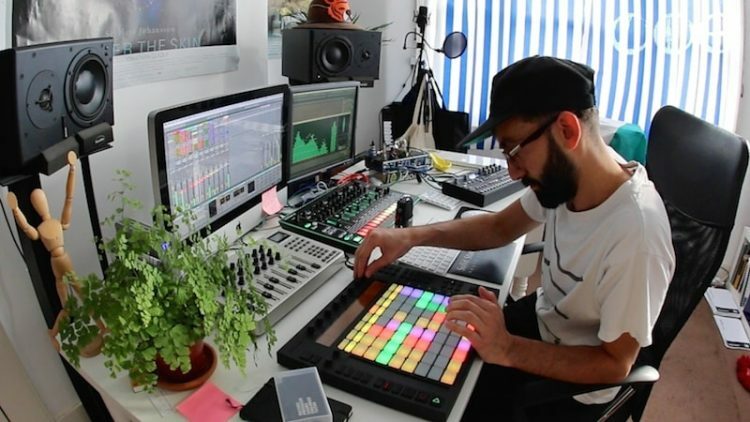 Within a few months, we knew our way around Ableton inside and out. We could design fairly decent sounds, compose and arrange sequences and layer them into sections of a track, then write each section of the song structure to produce a full song. But as time went by, our music (and our skills) started to plateau. Sure, we could write tracks, but they weren’t sounding like label-worthy masterpieces. As our skills plateaud further, I noticed that Dan’s passion also started to drift off. He wasn’t as excited about producing new tunes like he used to be. But as you figure out the basics and settle in to your own habits, those habits become extremely hard to break out of to propel yourself to that next level. Unless you’re constantly being exposed to new methods and ideas, you’ll eventually run out of steam and become a sitting duck stuck in the water. Sure, there’s YouTube tutorials, but 99% of them are being pumped out by bedroom producers who aren’t much better than you (and many of them are probably worse than you!). And if you’re learning from people at the same level as you, how can you expect to grow? It wasn’t until I quit my job, moved to a completely new country and dedicated an entire year to working on my music that my skills started to accelerate to new levels. That was one year before I started BassGorilla. It was also the year I got signed by a label for the first time and got featured on BeatPort. From there I started interviewing tons of A-list producers for the BassGorilla podcast. Any money I made was reinvested into hiring these A-list producers to share their secrets with our audience. And that’s how BassGorilla’s Full Access Pass was born five years ago. Since then, dozens of our members have been signed by labels, won remix contests, got paychecks for making music for film and television and even had their music played by big producers at festivals around the world. Coincidentally, I met up with Dan recently. He has a wife and a baby now. P.S. If you feel like your skills have plateaued and you need a fuel injection of high octane knowledge to break out from your current skill level, the time to give us a shot is now. We’re running a no obligations trial right now, but it could end at any moment. Neuro Bass Synthesis With Slynk Are You Making These Music Production Mistakes?